Selecting and deploying a new payroll processing solution is a practice that must be carried out with care. Each organization requires many different aspects depending on their size and revenue. However, regardless of what the organization, there are certain factors that stay the same for each company. 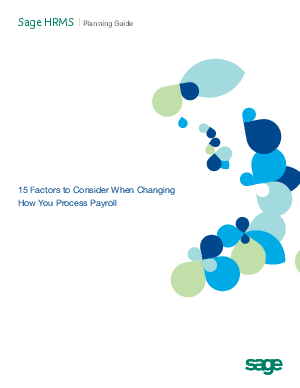 Download this whitepaper to learn about the 15 most important factors to consider when changing how you process payroll and see how following these steps will allow you to select a vendor that fits your exact needs.